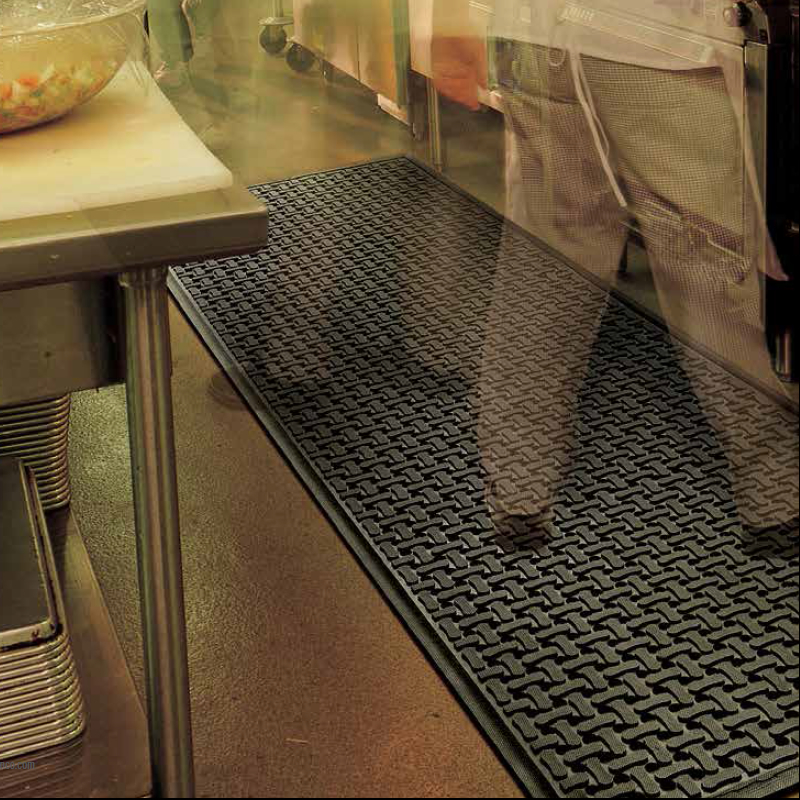 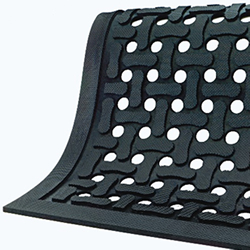 A lightweight, anti-fatigue, fully-launderable mat for both wet and dry environments. 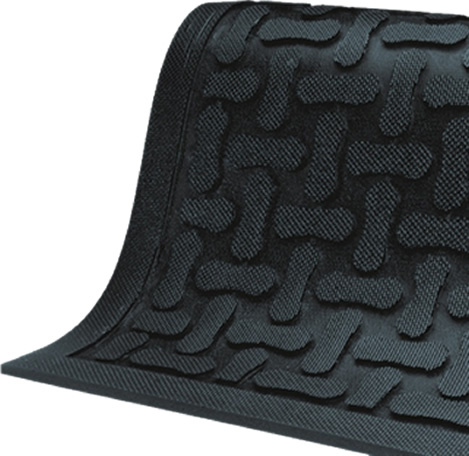 Holds up well. • Provides superior grease and oil resistance, and protects against sparks and static electricity. 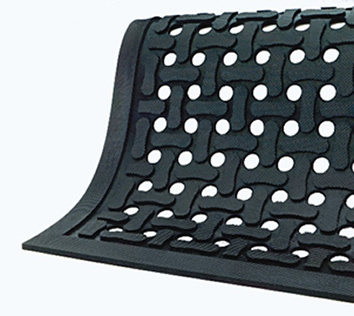 • Anti-microbial treatment blocks unpleasant mat odors. 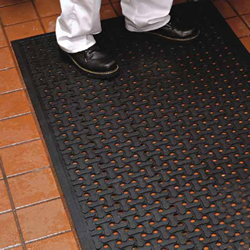 • 3/8 inch thick, slip-resistant surface and non-skid backing. • Choose Comfort Flow, if you want water to drain through the mat, or Comfort Scrape to collect debris and moisture. Small, 8" x 11" sample mat with each variation available for Comfort Flow custom mats. 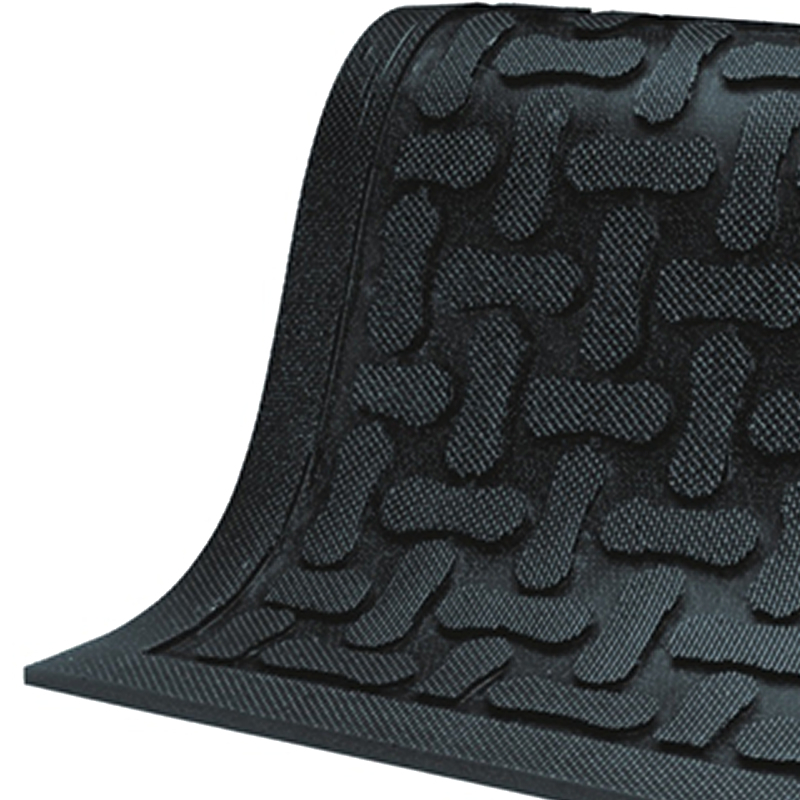 Includes standard and grit surface sample. 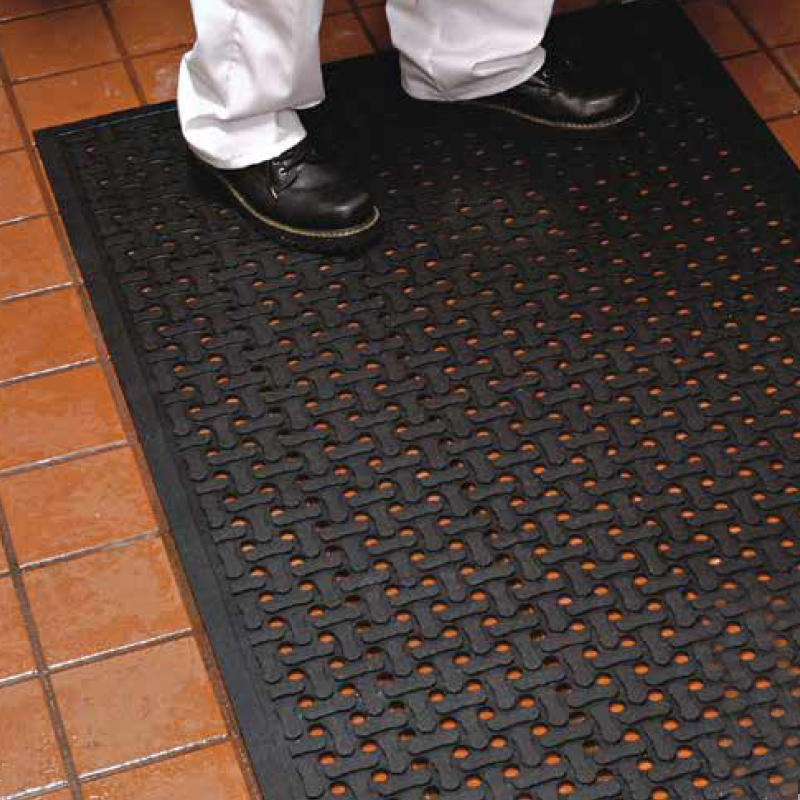 If you decide to place an order after recieving the samples, simply call us and we will rebate $2.99 on your order for any Comfort Flow Mat.